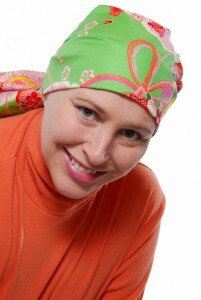 Chemotherapy has a number of well-known side effects including fatigue, nausea, muscle pain or weakness, and hair loss. What patients don’t always realize is that cancer treatments also affect their oral health. Like many other systemic diseases that are intricately linked to oral health, caring for your smile throughout chemotherapy improves your overall health during care. The expert team at Piney Point Oral and Maxillofacial Surgery is happy to help you care for your smile throughout chemotherapy. About one month before beginning chemotherapy, patients should visit the dentist. During this appointment, we examine your smile, address current oral health concerns, and create a dental care plan. Throughout cancer treatment, take special care of your oral health, and contact your dentist right away if you notice oral health concerns. Additionally, denture wearers should discuss the possible discomfort or changes in fit that may occur during treatment. Drink plenty of water, chew sugar free gum, or use saliva substitute to avoid the effects of dry mouth and don’t use mouth rinses with alcohol as this could further dry your mouth. Use fluoride tooth paste and an extra-soft bristled toothbrush to clean teeth, tongue, and gums at least twice each day and between meals if possible. Eat nutritious foods that are easy to chew and swallow, and take small bites. Avoid crunchy, acidic, and sugary foods. Do not smoke tobacco or consume alcohol during cancer treatment. Take care of your oral and overall health throughout cancer treatment. Before beginning chemotherapy, contact Piney Point Oral and Maxillofacial Surgery. We’ll develop an in-office and homecare plan to preserve your smile throughout treatment. by: Piney Point OMS at January 27, 2016 .